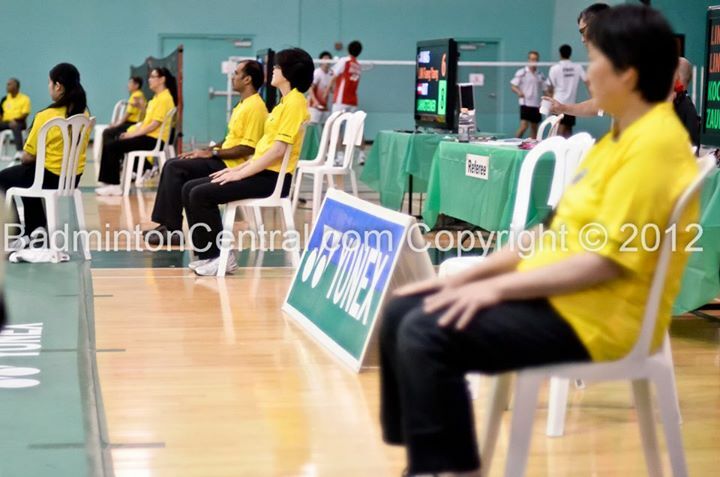 The Badminton World Federation announced in early 2013 that a line judging instant review system will be implemented, allowing players to challenge the decision made by line judges during a tournament. Here are some of my thoughts on the whole system and what effect it has on the organization, the linejudges and the players..
Out of all the court games, none makes as full use of the court boundaries as badminton. Think about it, tennis? nah. volleyball? neh. Easily 1/2 of the shots made in badminton the players are aiming for the boundary lines, perhaps with the exception of netshots, drops. Other shots like clear, smash, lift, even some drives are all designed to be hit as close to the line as possible in order to win or not giving away opportunities. It only make sense that something as crucial as line judging should not be trusted completely on the eyesight of lightly trained and over worked human beings, who not only can be inattentive and error prone, they can also be affected by external factors and make blatantly biased calls. I am not naming any tournaments here, but i am sure avid followers of badminton can name at least a couple. So hats off to BWF who finally realize it after all these decades. And despite some teething problem (seriously, thumbs up? thumbs down?) 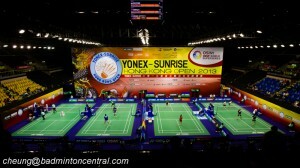 the system was deployed in the 2013 Super Series Finals and also in the ongoing 2014 Victor Korean Open Super Series. How has it affected the different parties involved so far? Linejudges are humans, so they do make bad calls (and the reason for implementing this whole review system in the first place!). However, bad calls comes in different categories. The genuine errors, or the biased calls. During the Super Series finals, there were a handful of genuine bad call and challenges were successfully made and the call corrected. Despite the small sampling population, the number of genuine bad calls seems to be around the same. So the prospect of getting reviewed didn’t make the quality of the linejudges any better or worse. And with either luck or brilliance in the part of the BWF, after debuting the system in the SSF, the next test is in the 2014 Korea Open. As most of us already know, the Korea open has, to put it mildly, a reputation of having questionable linejudges. It has been the subject of protests, fights and even walkouts. In the men’s doubles quarterfinal, the number of bad call against Endo/Hayakawa when playing against Lee Yong Dae / Yoo Yong Seong was abnormally high, all of which were overridden during challenge. That is surprising as the bias calls from the infamous Korean linejudges has not reduce despite the prospect of getting their calls reviewed. One would think any attempts would be futile but that doesn’t seem to have any effect on the (lack of) quality of the Korean linejudges. I guess old habits die hard. There is also an interesting change of behavior from players. In the post-umpire-override and pre-review days, players often makes a big deal out of any calls, as the only person they can plea to is the umpire, might as well make a big fuzz to see if it works. However, after the review system is implemented, I noticed players are much less likely to throw a big tantrum. My take on it is this. 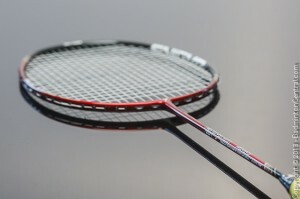 Badminton player have excellent perception, eyesight, and awareness. They have to in order to be the best players in the world. After any shuttlecock lands, they already know exactly whether it is out or not. Before review, they can try to throw a big tantrum, but now with the review system, they know whatever they do won’t affect the outcome. In other words, players has been force to be more honest. Sometimes some players, like Lee Chong Wei in the recent Korea Open quarterfinal, did he usual “I don’t believe you called it in” reaction after one call, but in the end, he let it slip without asking for a challenge, as he already know that it was a good call. He didn’t even bother looking at the umpire. 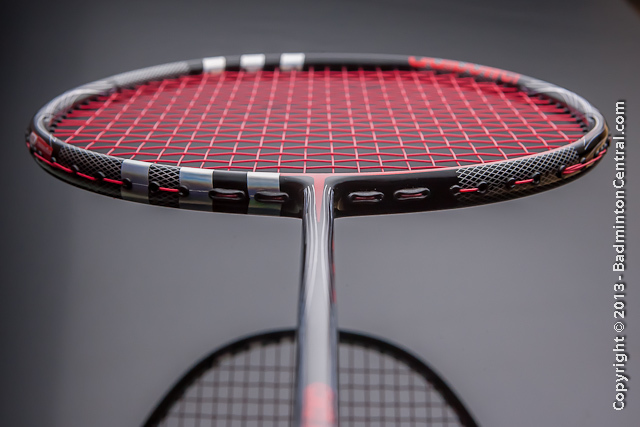 Before the system was put into practice, there was a concern of players abusing the system to get some breathing time as have happened often in tennis. So far we have not see any of that happening. Only time will tell if players will take advantage of the system this way. And in a brilliant move by BWF, the 2 incorrect challenge limit should prevent that from happening. The last group of people affected would be the fans. And there are two different takes on this. Everyone love to see fair competition, and everyone love to know that the heros and heroines win or lose a match in a fair manner. The addition of the review system will definitely make that happen. Perhaps the tantrum and walkover that we have experienced before will go away from now on. And also badminton will gain a better reputation, in which we haven’t been very good at lately as most of the headline news we got seems to be bad ones. On the other end, being a devil’s advocate, taking out the human variability into the system seem to have taken away the organic part of badminton. No longer we will see players twisting their faces, walking up to the umpire chair and shout “not fair!” to him. Line calls will be more clinical and lack in emotion. Overall, this is a great direction that badminton is moving towards. Hats off to BWF this time.